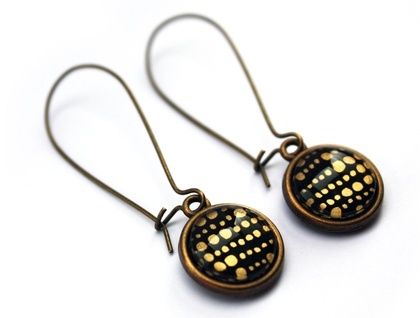 These lively handmade earrings demand attention. 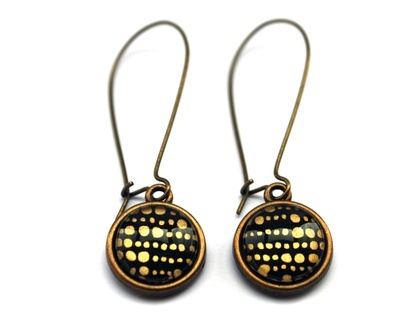 They feature a simple hand drawn dot design in black and gold. The design is sealed under a 12mm glass dome and is set in a solid vintage brass setting which hangs from 35mm kidney shaped ear wires. 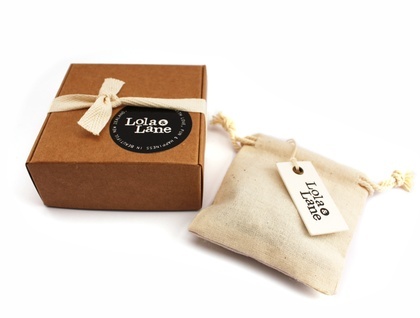 The ear wires are lead and nickel free, so are fine for most people with sensitive ears.